The first bank cards in the Netherlands with a magnetic stripe appeared in 1987. The customer used a personal identification number (pin) to make payments. This system was too expensive for transactions of small amounts. With every payments a connection to the bank had to be made. For small amounts the Chipknip and Chipper were introduced by the banks. The Chipper existsed since 1997. It was an initiative of Postbank, INGbank and KPN Telecom. The other banks used the Chipknip which was introduced in 1996. These two systems were not compatible. After a struggle between the banks which lasted several years the Chipper was replaced by the Chipknip. The Chipknip was an electronic wallet. The customer used a terminal to transfer money from his bank account to the smart card. For a payment with the chipknip, the customer entered the Chipknip into the reader and confirmed the transfer of money. Only a small percentage of the payments with the Chipknip was used for public transport. The card was mainly used in office canteens and parking machines. From 1 January 2015 the Chipknip could no longer be used. On 6th February 1998 Twente was the first region in the Netherlands where passengers could use the Chipknip to pay for their bus fare. A return ticket paid by Chipknip was cheaper than a regular presale strip ticket. Bus company Oostnet installed Wayfarer hardware in their buses. Twente had previous experiences with smart cards. The studentenchipkaart (student smart card) could also used in the buses in the Twente region. At the same time VEONN bus route 80 from Almelo to Hoogeveen was equipped with smart card machines. The two bus routes from the VEONN city service in Hoogeveen followed on 27th March of the same year. The fares on these lines was the same as the presale fares of the strip ticket. 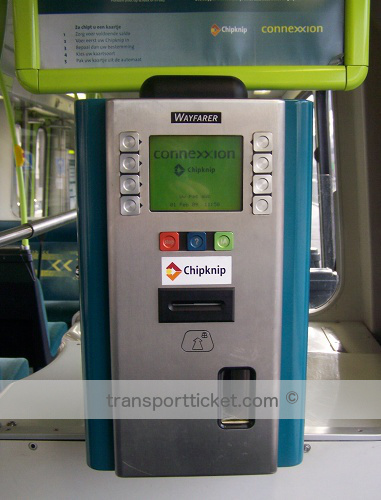 From 18th October 1998 the Chipper and the Chipknip could be used to buy tickets in the ZWN buses in the Zeeland region. The fares on these lines was the same as the presale fares of strip tickets. Since july 2011 the Chipknip could no longer be used to buy bus tickets in Zeeland. Zeeland also had some previous experience with smart cards. The Zeelandkaart could be used in this region for some years. In 19?? it became possible to pay for a single or a return ticket using the Chipknip in the Hermes buses. 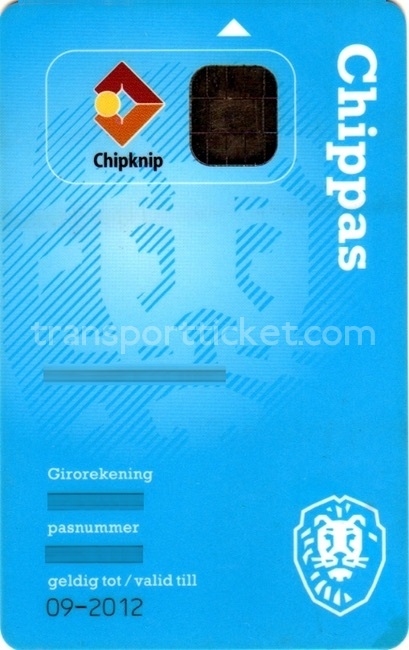 Since 1st September 2007 the Chipknip could no longer be used to buy bus tickets in the Hermes buses in the Nijmegen region. In preparation of the OV-chipkaart all Chipknip equipment was removed. In the other Hermes buses it was still possible to use the Chipknip a while longer. In 2002 the Dutch Railways (NS, Nederlandse Spoorwegen) installed new ticket machines. These machines accepted the Chipknip as well. Since 2009/2010 most of these machines no longer accepted the Chipknip. All taxis owned by Connexxion Taxi Services (CTS) were equiped in 2004 with hardware which made it possible to pay with Chipknip or credit card. In december 2004 ticket vending machines were installed on the tram from Utrecht to IJsselstein and Nieuwegein. After 9 am a ticket paid by Chipknip was cheaper than the regular presale strip ticket.